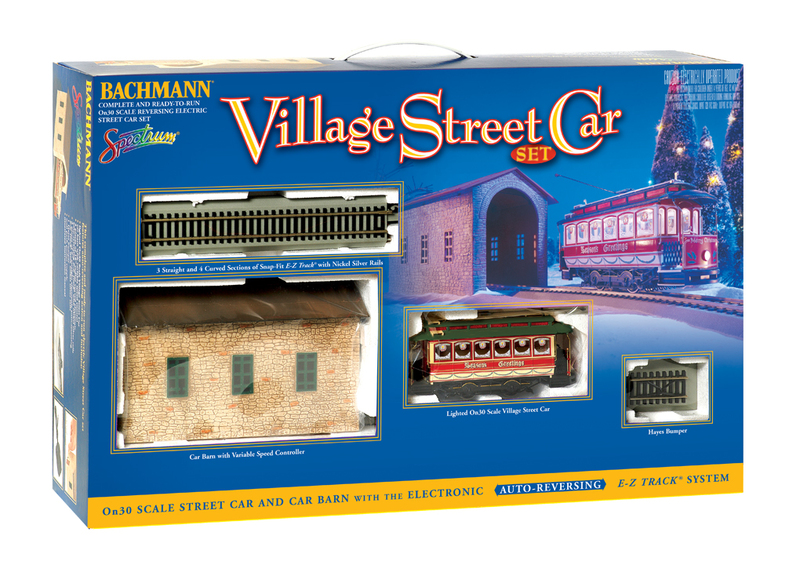 Our Village Street Car Set features an electronic auto-reversing E-Z Track® system that’s the perfect solution for point-to-point passenger transit on your layout. With a variable speed controller to determine the rate of travel, you can enjoy the ride while your town or city comes to life! 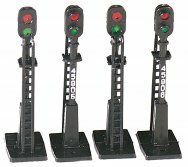 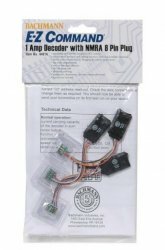 You can expand your auto-reversing train set or track system with Electronic Auto-Reversing Nickel Silver E-Z Track® sections. 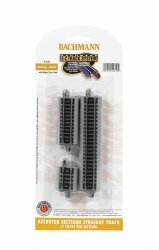 Available in 9-inch straight or 18-inch radius curved sections, this electronically equipped track is specifically designed for the open-end track configuration of our auto-reversing track system, allowing you to go virtually anywhere in your layout.